Speedy Tuesday is here! Just recently, after a few of our posts on Instagram (follow @fratellowatches also on Instagram) we got in touch with Kathleen Yap. She followed-up with her precious Speedmaster in white. In case you didn’t know, also ladies can join Speedy Tuesday with specific ladies’ Speedmaster watches. 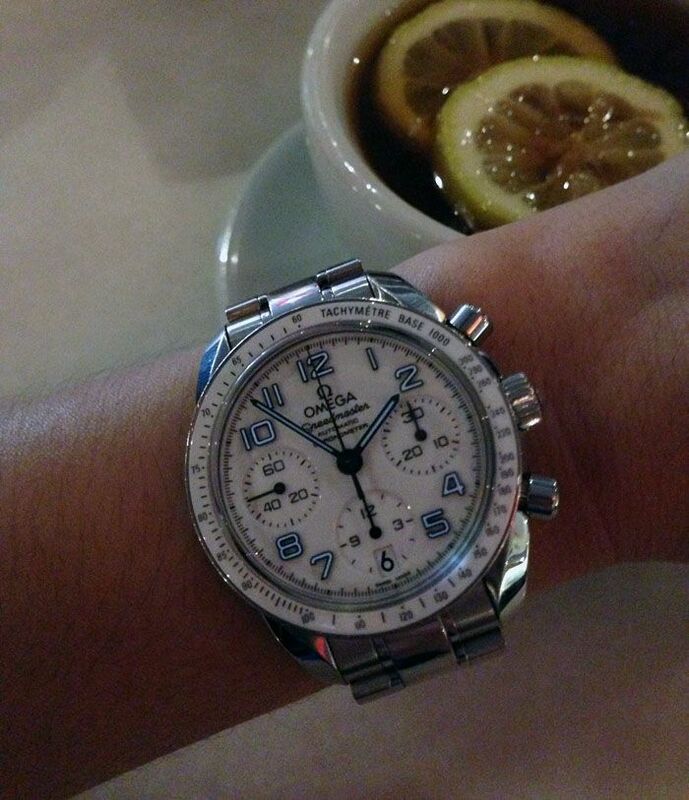 Kathleen is wearing one of our favorite ladies Speedmaster models, reference 324.30.38.40.04.001. A white dialed 38mm Speedmaster, much like the Speedy Reduced we know from the mens collection, with an automatic chronometer movement caliber 3304. This model is available on a stainless steel bracelet as well as on an alligator strap in white (reference 324.33.38.40.04.001). 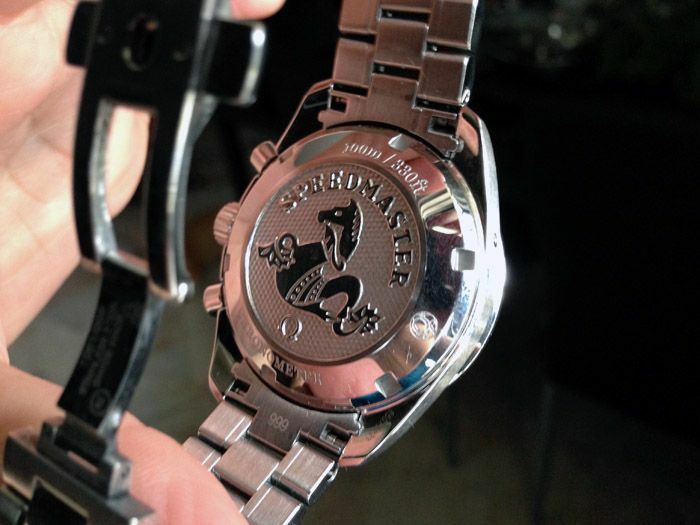 The case back has this cool embossed logo of the Seamonster and the wording Speedmaster above it. The automatic movement is based on a F. Piguet movement and features a date and has been certified as a chronometer movement. The last photo we’ve found somewhere on the interwebs of the exact same watch. The white inlay of the bezel is stunning and matches the all white dial of this ladies’ Speedmaster. OMEGA also has these ladies’ Speedmasters available in other colors and combinations. Top of the range is the Speedmaster with diamonds studded in the bezel. 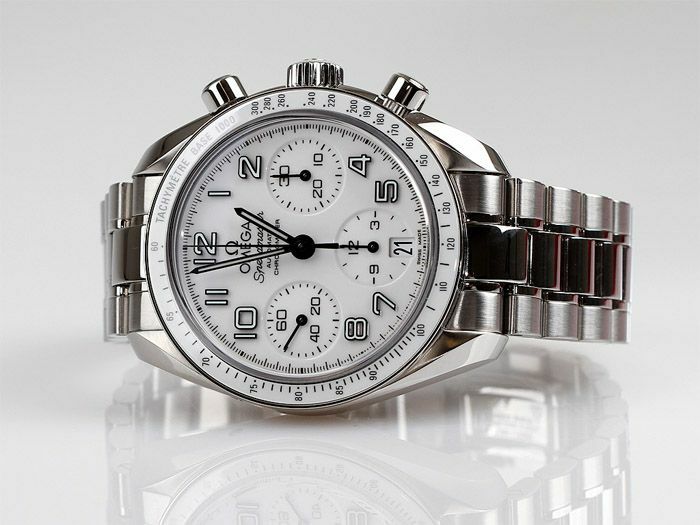 However, we prefer the white version in stainless steel and tachymeter bezel. List price of this Speedmaster is 3850 Euro (including VAT) for the version with the stainless steel bracelet and 3760 Euro for the version on an alligator strap.